On the tram with our hard hats on. Everyone must wear one. Madeline seemed a bit nervous at first but had a great time. Annie, of course, loved it. At our first stop off the tram, had to get a picture. 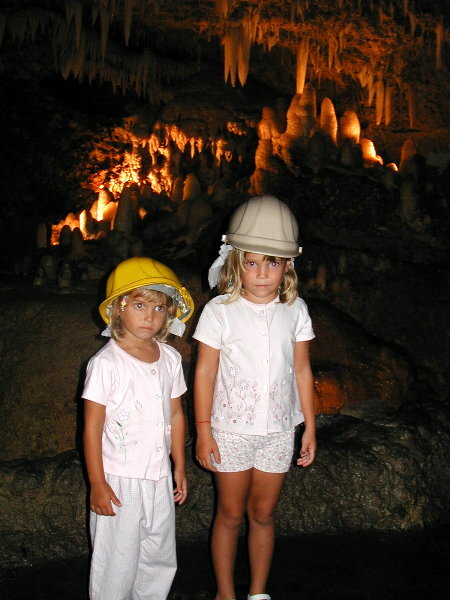 Some of the stalagmytes in the background. This is the Altar. Well it's obvious why, cause it looks like a church scene. All natural. 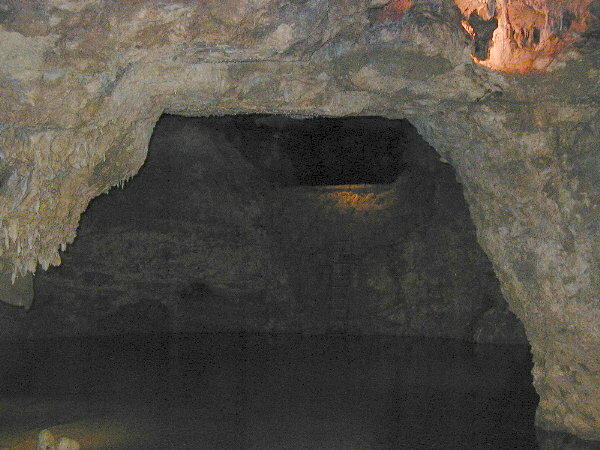 The dark opening in the back is the original opening to the caves. This is only now used in case of an emergency exit. there is a small boat to go across the water and a small ladder to climb up. 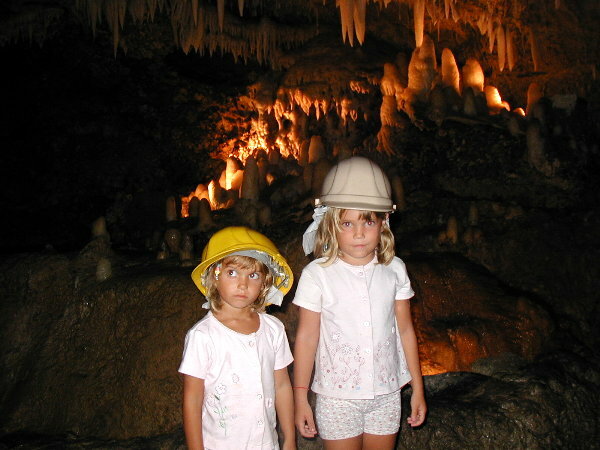 In the future they hope to do some more excavation and possibly use this for more cave exploring tours. One last picture of the girls with that halo effect. 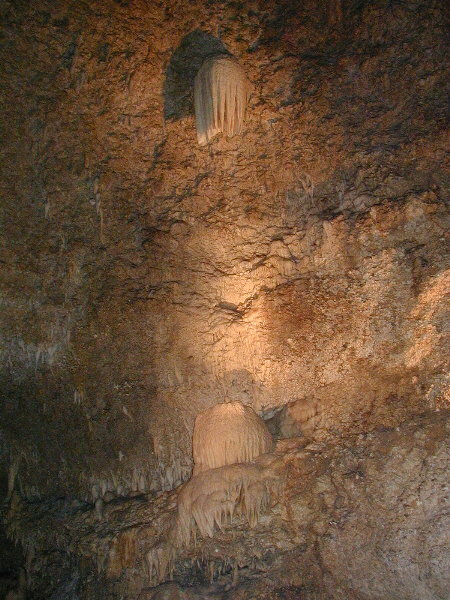 One of the neatest formations in the whole cave. It will take many many many years for this to form one solid column. Don't think we will be around when that happens. Wouldn't you just love to dive right into this pool. 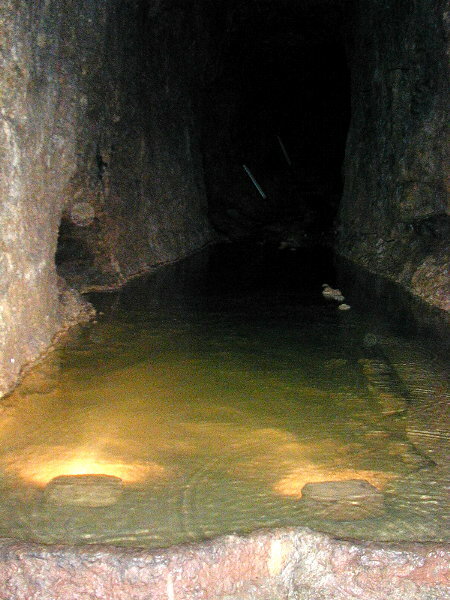 The temp in the cave is around 78 degrees F. while the water temp is 76 degrees F. Sounds great to me. 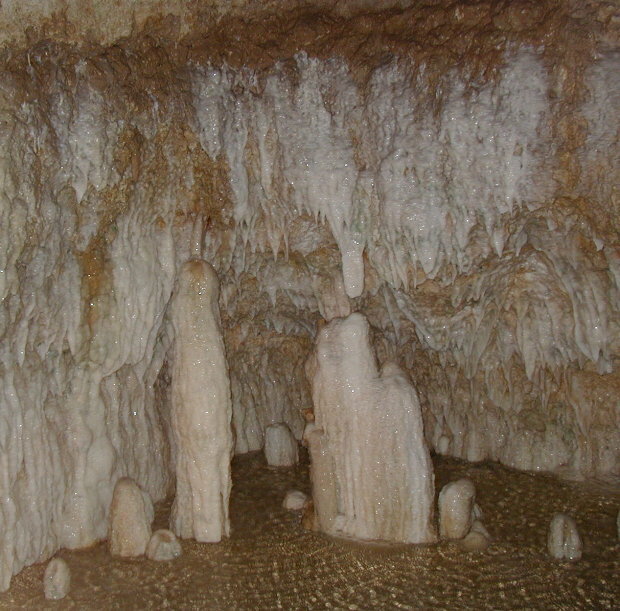 Learn more about Harrison's Cave in Barbados. Just click on the link above.